Home vs Away. The digital/retail KPIs clash of the century! Home vs Away. 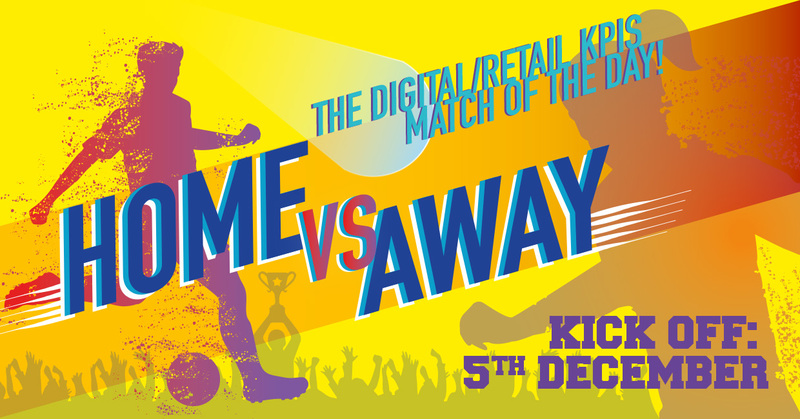 The digital/retail KPIs Match of the day! Portaltech Reply is hosting an event on the 5th December from 15:30 – 18:00, which will examine how retailers are managing the demands of Omnichannel strategy, and devising KPIs accordingly, to measure conversion. Conventional wisdom would suggest that customer-centricity requires a ‘blurring’ of retail and digital channel KPIs, as customers flit seamlessly between the two. However we were keen to understand if a ‘one size fits all’ approach is the right approach to Omnichannel; is customer behaviour in Retail and Digital really that similar, or are there some subtle and not so subtle differences that need to be embraced rather than glossed over to improve conversion? We have created a survey and campaign on Linkedin which asks Retailers to make a bold choice between corresponding KPIs for Retail and Digital, likening this to a game between two football teams. Which KPI is ultimately more important? Early results suggest that Digital KPIs are leading the way, but some Retail KPIs are still stubbornly outperforming Digital (for example Brand vs User Experience).